By now you all know how much I love to crochet! I love to knit as well but haven’t done any in sometime (note to self – find a new knitting project asap!). 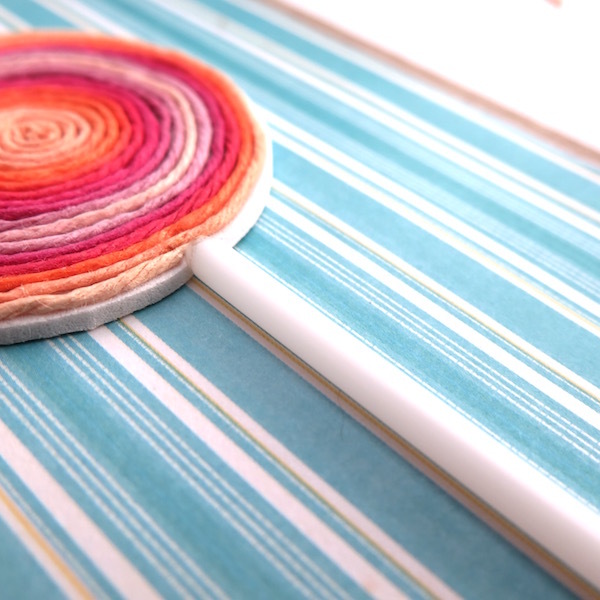 What I also love is paper craft. I don’t do a lot of it but I can and have spent hours on Pinterest looking at beautiful images and tutorials. 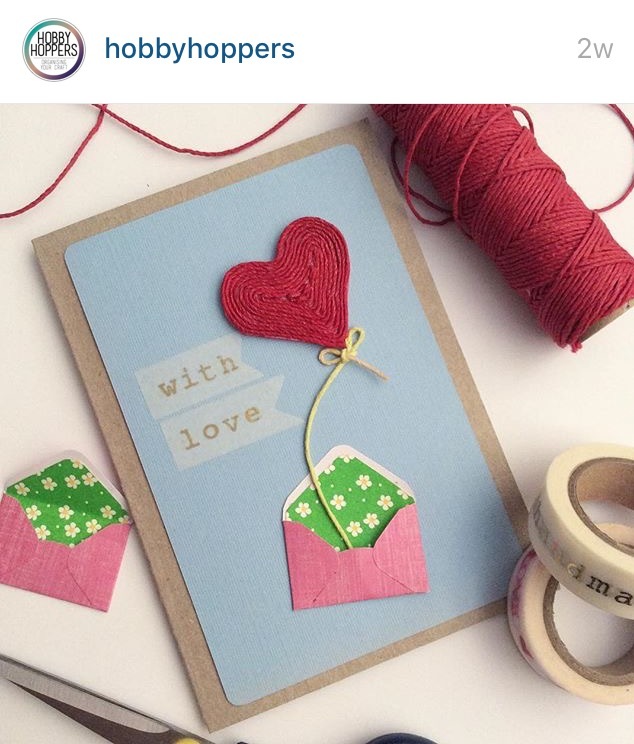 So when I discovered Hobby Hoppers through Instagram, it was love at first sight. 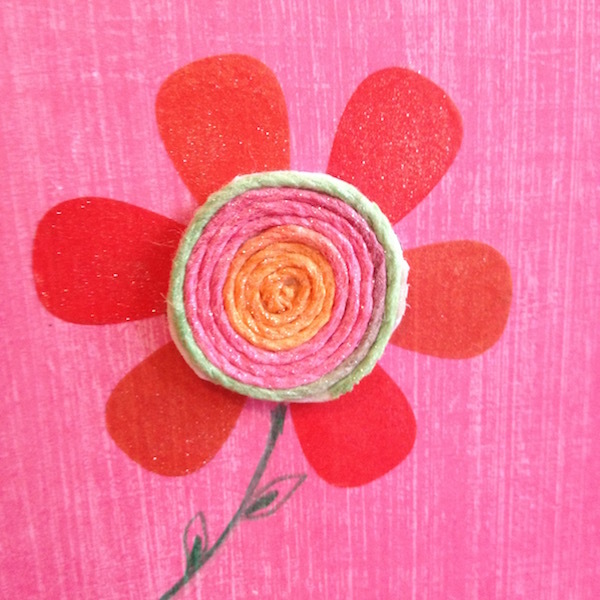 Trish’s feed is full of beautiful images like the one above that show creative ways to use different crafting supplies. 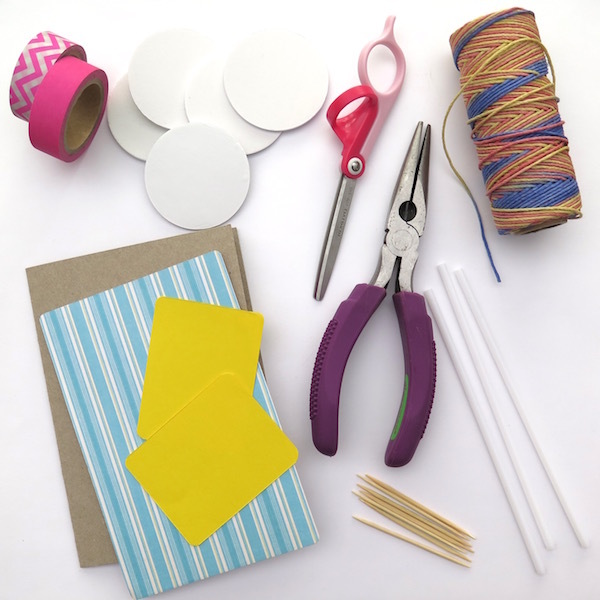 So when I found out she was planning on doing a tutorial for these super cute twine cards, I invited her to do a guest post. I hope you all enjoy it. My name is Trish and I am so excited! Welcome to my first ever Guest Blog Post, to be truthful it is my first ever blog post of any kind, and I am so thrilled that Aki invited me to contribute. I don’t have a blog but like many of you I use and love Instagram. You can check out my feed here. There is something so special about the Instagram community and Aki and I became Instant Insta pals when I discovered and did her Easy Peasy Flower Crochet Pattern and posted it here. 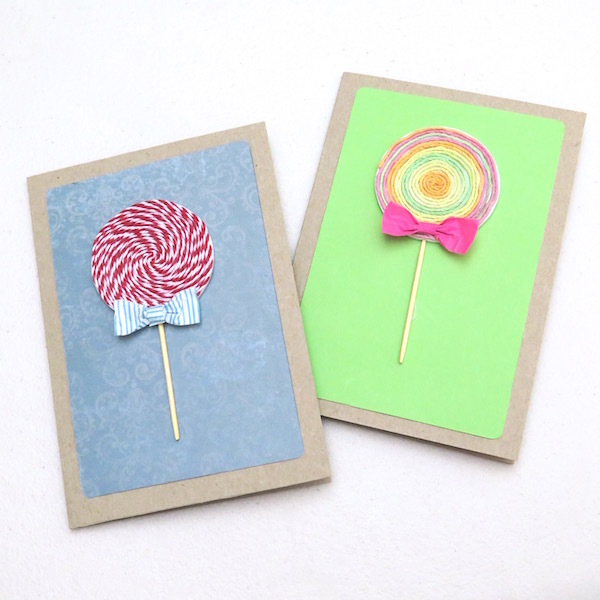 I know most of you are probably “hookers” if you’ll pardon the pun, hehe, but I am going to show you how to make an “Easy Peasy” (sorry Aki) Lollipop card. 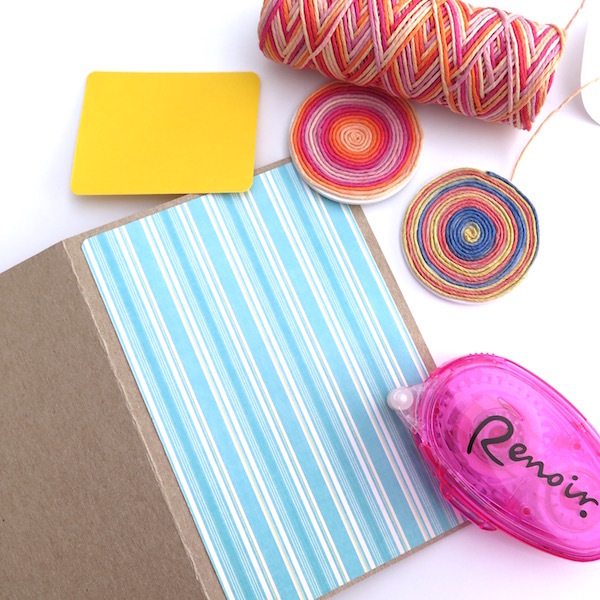 – A blank card and some of your favourite paper stock. 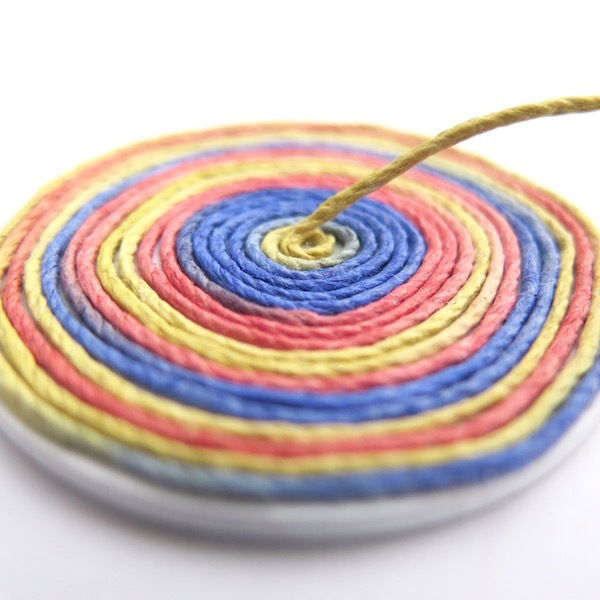 – Some twine – I used Variagated Hemp Twine, from my shop of course, but you can use anything you have around the house. 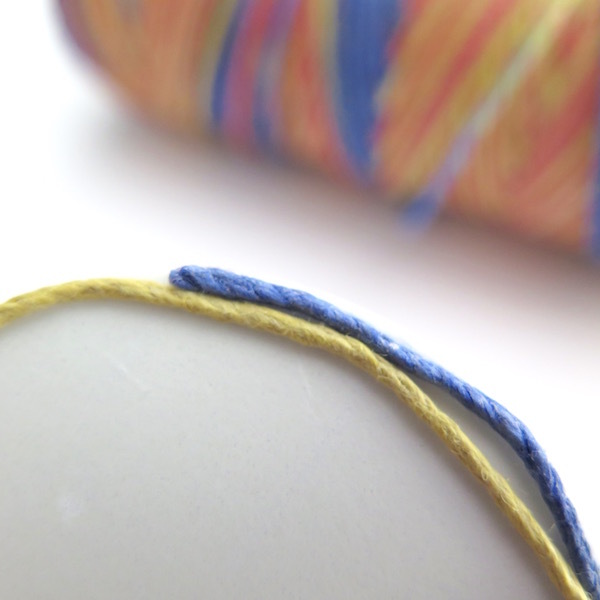 I do find the multi-coloured stuff works best though; bakers twine will also work beautifully. 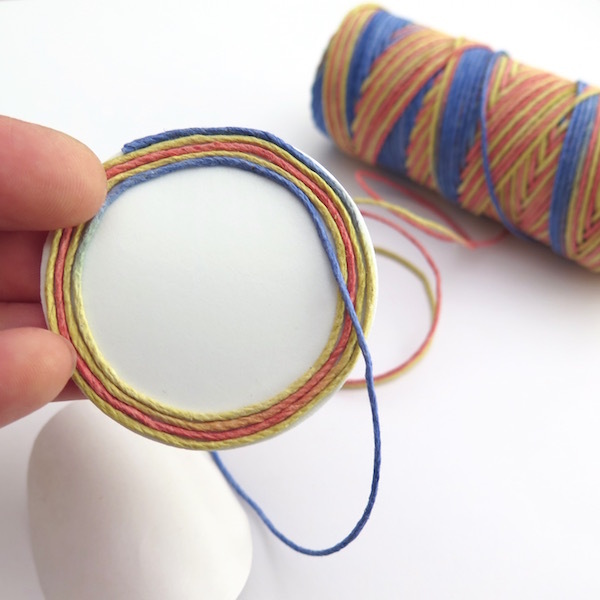 – Some adhesive backed foam or cardboard, cut into circles, again if you don’t have any you can use card stock or thick paper and glue or double sided tape – it just needs to be sticky. 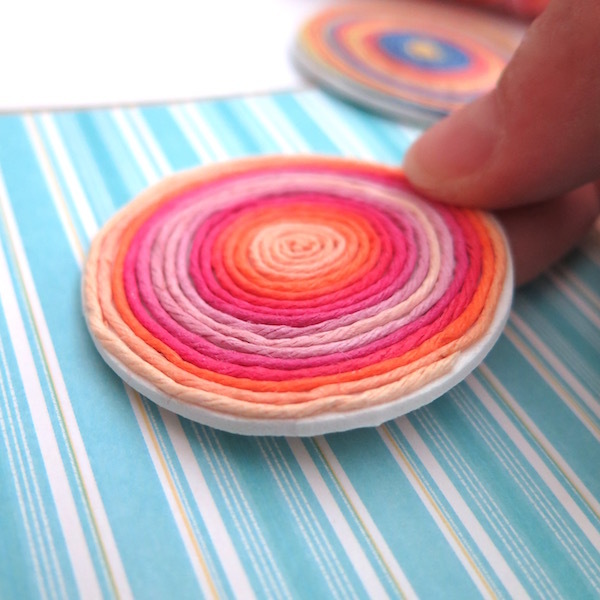 I used my Sizzix Big Shot to cut my circles because I am terrible with scissors. – A lollipop stick or a tooth pick. 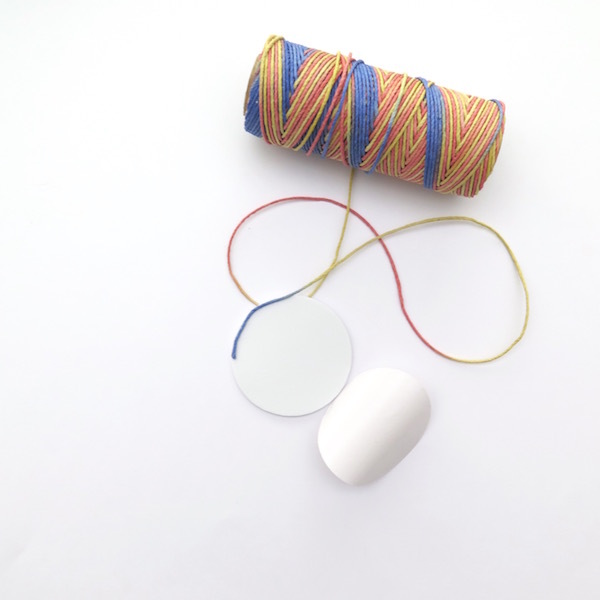 – Some glue or double sided tape. 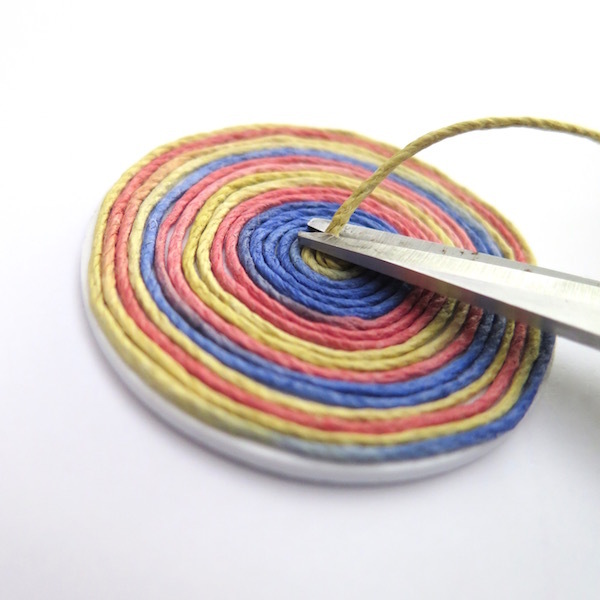 Peel back the adhesive on your circle, then take your twine and starting at the outside edge begin to wind it around. 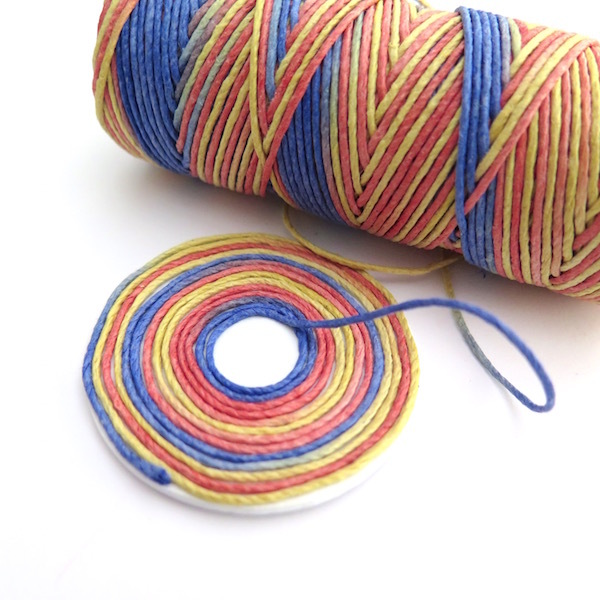 My friends and family have had many discussions as to whether it is better to start on the outside or in the middle – it really doesn’t matter, I started on the outside for this tutorial because I think it is easier to get a nice circular shape without it getting wobbly. When you get back to the beginning just continue winding under the join. 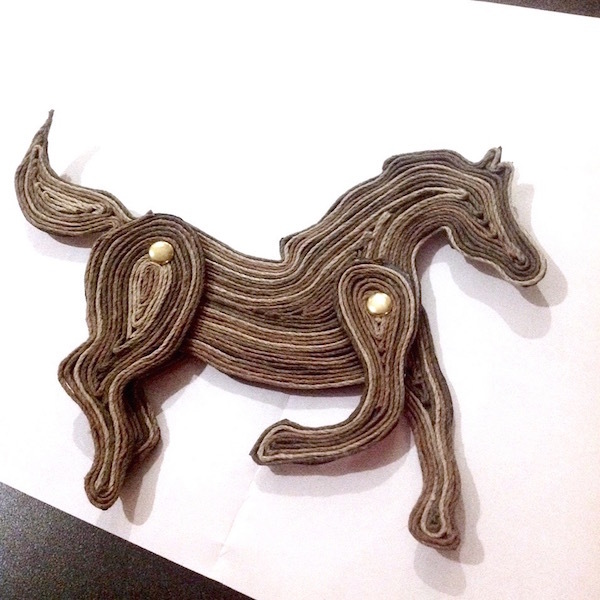 Then just keep winding, just keep winding, just keep swimming….. oops I mean winding! This part I find very calming and therapeutic, you can do it while you’re watching telly. 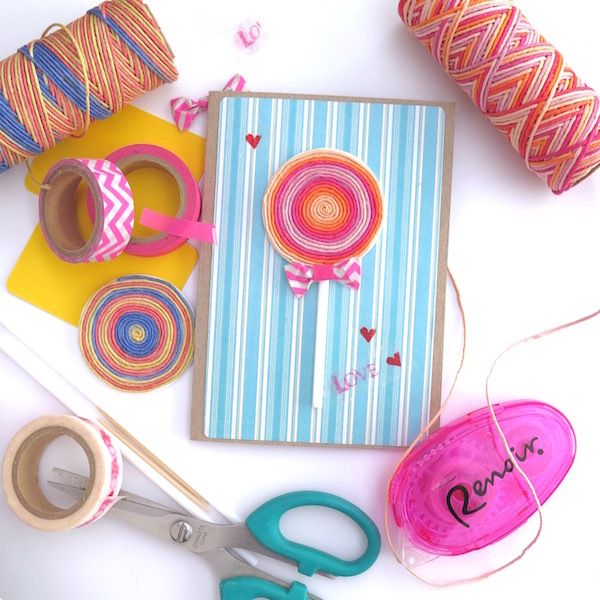 When you get to the middle cut the twine off as close to the lollipop as possible and just tuck the end in. I only do simple crafts, if it’s not easy I lose interest really quickly. That is why I called my shop Hobby Hoppers. Now we just have to put it together. 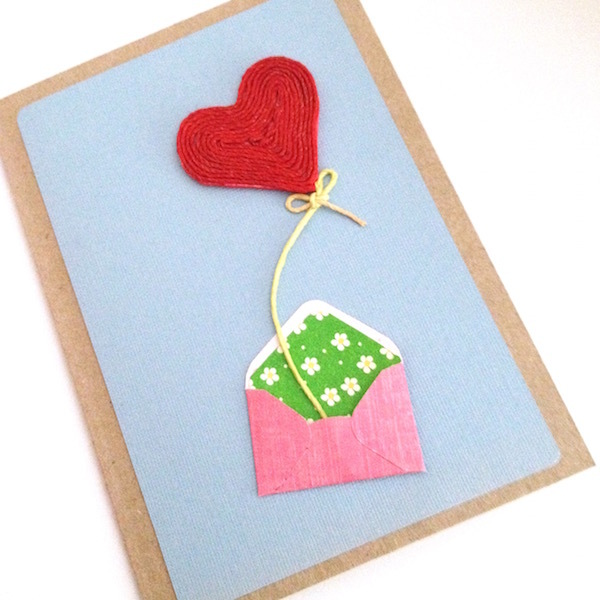 Attach a complimentary but contrasting piece of coloured paper or cardstock to the front of your card. 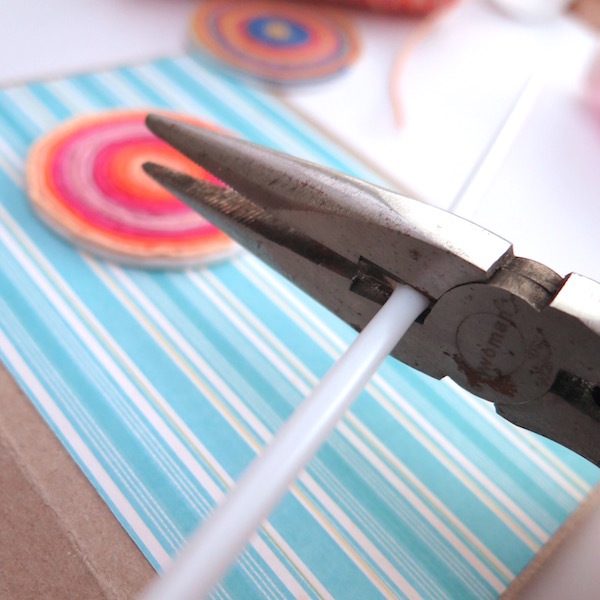 Using you chosen adhesive, attach your lollipop head wherever you like on your card (leave space for the stick of course). 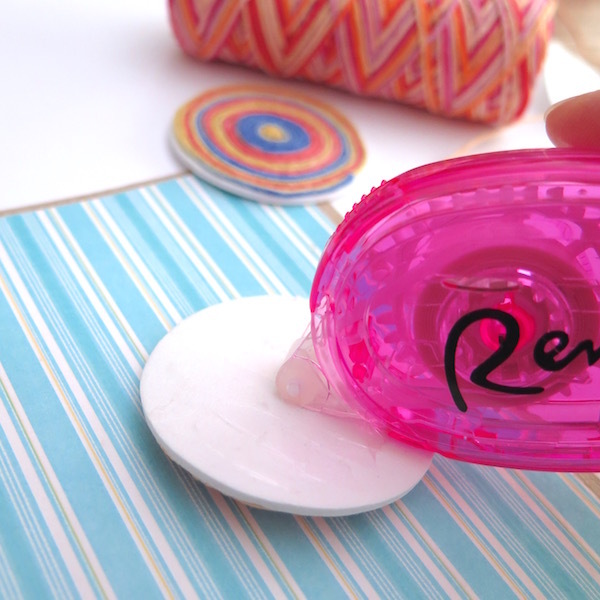 I used glue tape for this step because I am a lazy crafter, – oops I mean because that’s all I had. Hehe. I like to face the join at the bottom where the stick will go to camouflage it a little. Then measure your stick to the size you like and cut it down. If you are using a toothpick it is a good idea to file or sand the ends to dull the sharp edges. Hey Presto – You are done! 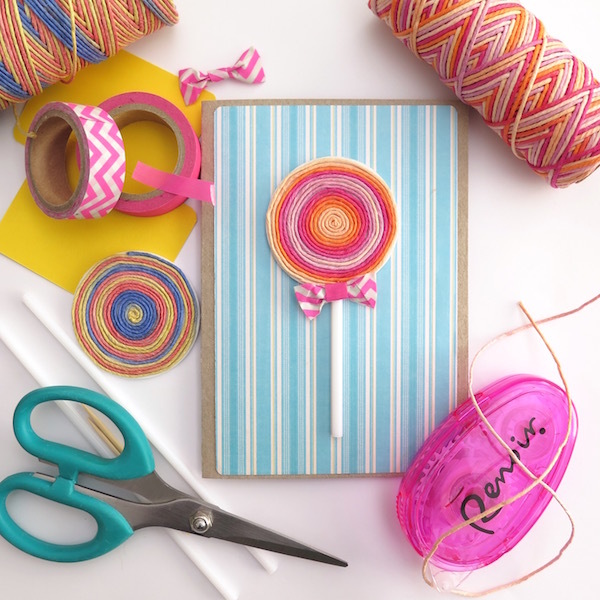 Now you can embellish with whatever takes your fancy – I always embellish with a Washi tape bow because they are so cute and it hides the join perfectly, if you don’t know how to make one subscribe to my newsletter here, I will be doing a pictorial for it shortly. Here are some others ideas to inspire you. These ones were made by our customers at a craft show. 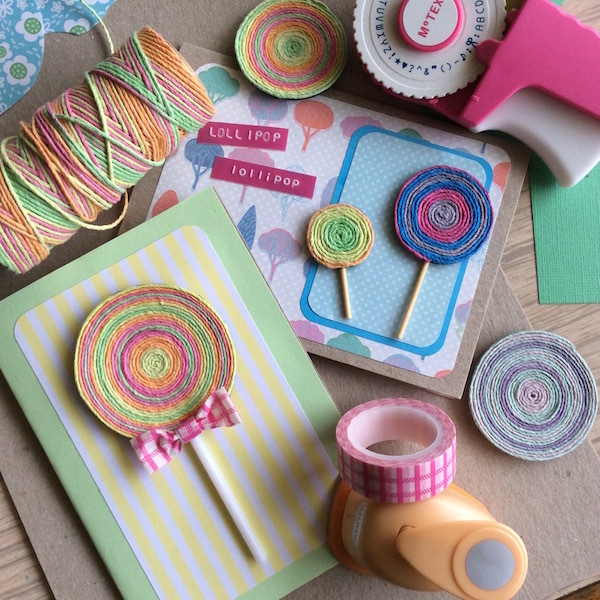 I hope you enjoyed my first ever blog post – I would love to see your lollipop inspired projects, please use the hashtag #hhlollipop. Follow my adventures on Instagram, Pinterest and Facebook. How nice and easy it looks!! Your welcome – Glad you fond it, Robyn.